KDHamptons: How long have you been coming to the Hamptons? Why do you love it so much? Natasha Esch: We moved from LA three years ago, to be closer to our family, and have one of the most beautiful backdrops to raise our young children. KDHamptons: Describe your perfect Hamptons day in detail? Natasha: I love the Hamptons year round, almost selfishly I might prefer it in the Fall, I love a crisp day with a long beach walk. The light is amazing, which is what attracted so many artists to live here year round, from Pollock to Andy Warhol, Peter beard and Robert Nash. 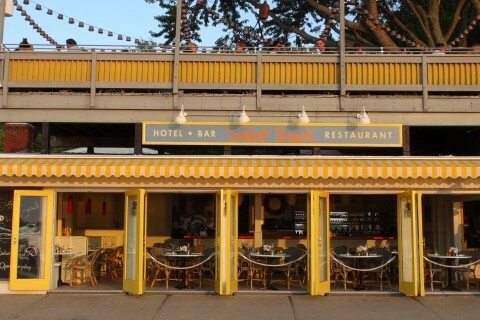 The perfect day starts with a strong coffee and a walk on the beach, but I love a boating day with the children going to different little coves tubing and swimming or with friends and a sunset cocktail at SUNSET BEACH in Shelter Island. KDHamptons: Why did you decide to open a design store? And why was Sag Harbor the right fit? Natasha: I use to have an interior design firm in LA, it is my passion. I wanted to open my dream store. There is nothing in the MONC XIII space I do not want to buy or already bought and have in my home….When we moved from LA, the movers said the only time they saw a larger book collection was when they moved the dean of Princeton. I collect art books, design books, antique books, so I have a well rounded approach that build over the years. The building we are in is the right fit. I tried to create a space that suits the spirit of Sag Harbor and yet that lives in the present landscape of design… SAG HARBOR township keeps its authenticity, as we started the renovation it was not easy but in the end the respect for their town is admirable. 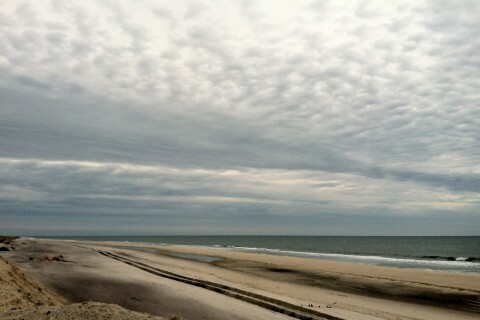 So SAG HARBOR it is. I love the idea of history, and a destination. At the same time of course we ship furniture to Paris and Buenos Aires. 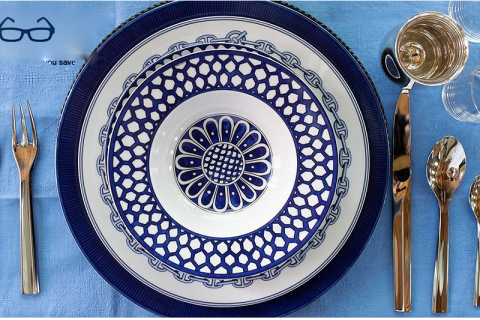 KDHamptons: What is the Hamptons design trend du jour? Natasha: I think the beauty of The Hamptons is that design can embody different styles. I feel that the traditional Hamptons shingle style house will remain a constant design inspiration and yet I do notice other twists on the theme in a more contemporary direction. Particularly when it comes to waterfront homes, there appears to be a revival of mid-century architecture and design…. KDHamptons: What is your favorite item in the store now? They are the perfect thing to have in the Hamptons plus I use the hand towel size as my napkins or as beautiful kitchen towels. 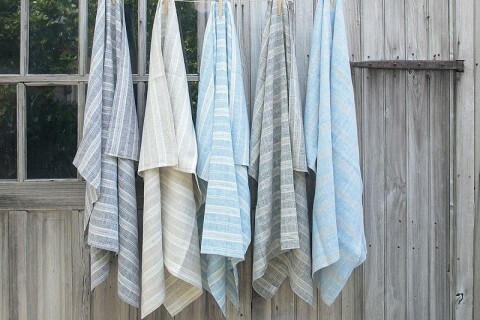 I always love items that simplify things and do double duty….These linen towels are totally that item.
. Whether they are used by themselves or in combination white a simple everyday white china, they just add whimsy and decadence to the table. 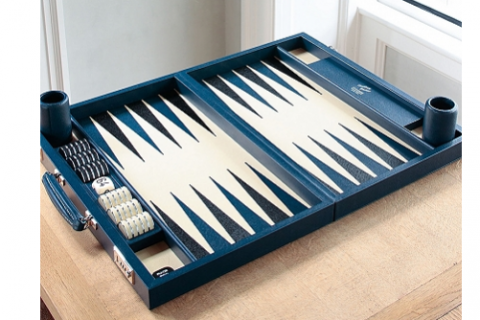 Plus they come in a fabulous Orange box and we all love those…..
– Backgammon is big in my life so it’s big at MONC XIII. We have the most beautiful one’s in amazing colors of leather and it is a joy to play on them as well as great eye canddy in your home. I think playing games is a key element in summer time…. to gather friends around and play. It’s amazing what you’ll discover about people when you play with them, haha…..
KDHamptons: Please describe your Hamptons home / decor style? Which item or room in your home is your favorite and why? KDHamptons: What is your favorite piece in your home right now? Natasha: I have two favorite pieces in my home right now: a pair of Papa Bear chairs by Hans Wegner that I upholstered in this amazing linen boucle fabric and they are in our bedroom. They are the ultimate lounge chair, so comfortable and looungy yet super simple in design. The second is an expandable console by Gio Ponti. It extends into a table or folds up into a console. Both pieces have traveled with many for many years through several homes and continue to inspire me. They are a testament to the fact that great pieces of furniture stand the test of time and always find a place in your home…. KDHamptons: If you could decorate a home for anyone in the world, whom would you choose? Natasha: I would love to work with Pascale Mussard from Hermes on a hotel project somewhere, and if Hamish Bowles was moving again – I would love to decorate his new home – I love his sensibility…. 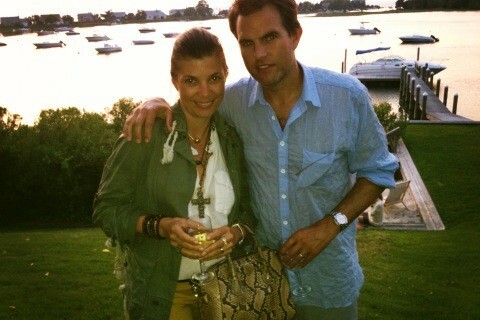 KDHamptons: Personal style: do you have a Hamptons “uniform”? How do you usually dress out East? Natasha: It depends on the season….In the summer, I always have an eres swimsuit in my bag for an impromptu beach or pool stop and a white dress….I look for them all over the world in my travels and always find another beautiful rendition of a white dress. KDHamptons: Do you have any summer purchases you are obsessed with? 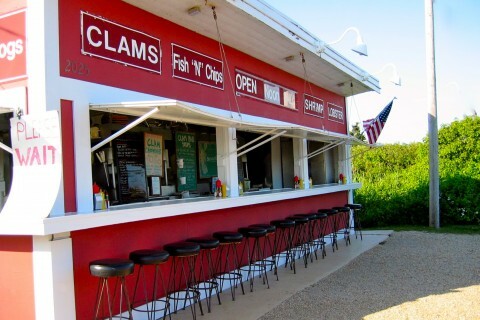 KDHamptons: What is your favorite Hamptons restaurant, got a favorite dish you get every time? Natasha: My favorite restaurant in the world Is always the one that use the seasons and Its local flavors. I love the Black Ink spaghetti in Venice and the local lobster in Montauk… I always go back to Clam Bar in Montauk for their Corn and Crab Chowder and Steamed Lobster….? We are so fortunate here as it is easy to be a LOCALVORE. KDHamptons:Do you like to entertain at home? Who cooks? Natasha: I love to entertain at home and I looove to cook. 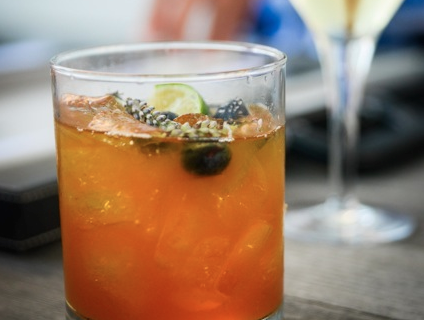 In the summer I like to make my monkfish stew, a crowd pleaser and it utilizes our local Monkfish……My husband Matt is the dedicated mixologist and I just got him this new book from MONC XIII called ‘Craft Cocktails” which has amazing drinks (http://shop.monc13.com/craft-cocktails/dp/2366). 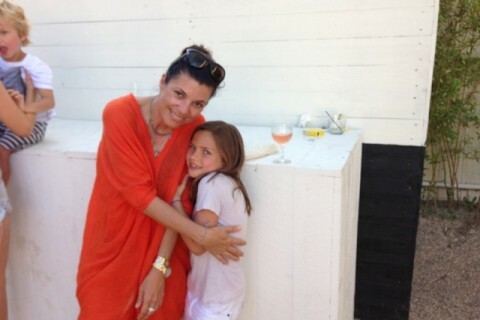 I hope he will make some of them soon, they look fabulous…..
KDHamptons: Do you have a summer mantra?